First pitch of the DII softball season is set for Feb. 1. 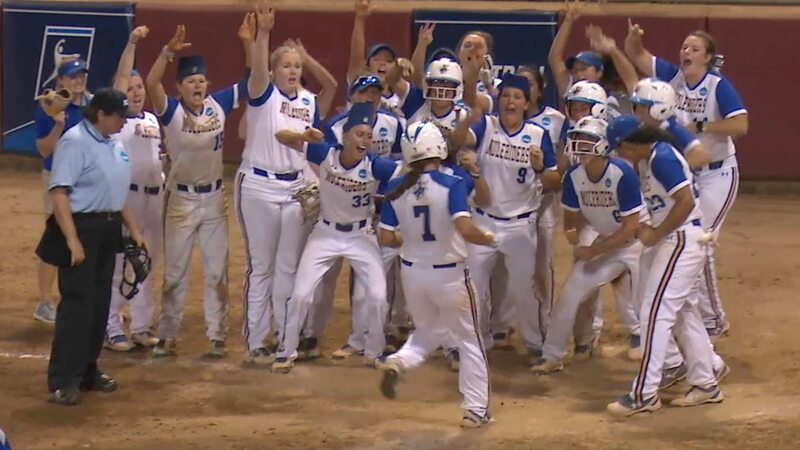 With the NFCA preseason poll set to drop next week, it’s time to take a look at who the contenders are for the 2019 season. 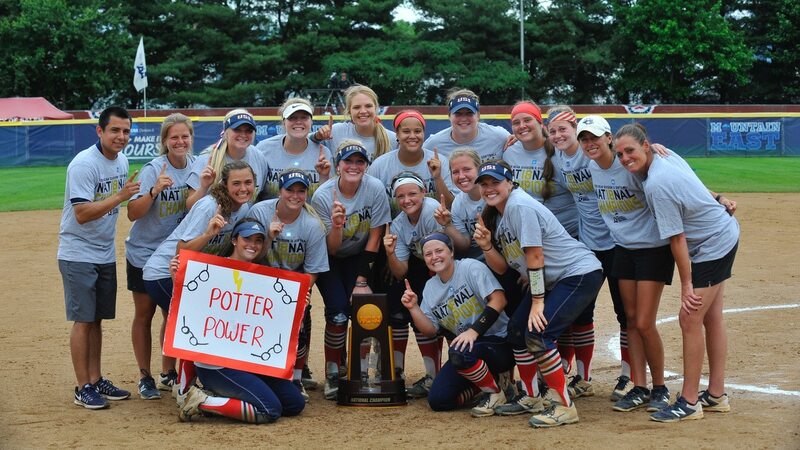 Last year, Southern Indiana went from the eight seed to national champion, sweeping its way through the DII softball championship bracket in five straight games. That gives the Screaming Eagles the easy top spot in the preseason poll. Here's a look at how we expect to see the top 10 fill out. Southern Indiana: Two words for you: Jennifer Leonhardt. Leonhardt was the first pitcher in Screaming Eagles history to earn All-American honors, and she did it as a freshman in 2017. Last season, she was the Most Outstanding Player of the DII softball championship, opening with a one-hit shutout of No. 1 North Georgia and a no-hitter over Southern Arkansas. She’s back for her junior season, and Southern Indiana should be just fine. Saint Anselm: Morgan Perry, Courtney Fisher and Abbie Murrell combined to go 44-13 last season with a 3.86 ERA all the way to the championship series. All three are back and will help for a team that will need to find a power surge with leading slugger Megan Murrell lost to graduation. Still, getting three pitchers back in the circle with postseason experience is huge. North Georgia: Leading hitter back? Check. Arguably the best pitcher in DII softball back? Check. The No. 1-seeded Nighthawks from a year ago lost some big pieces in Sydney Sprague and Amber Johns but have plenty in the tank to replace them. Kaylyn Anthony, who led the team in hitting with a .367 average, and Shelby Hammontree, who was second with 14 home runs, return to the lineup while the NFCA DII Player of the Year, Kylee Smith returns to the circle. Smith led DII softball in ERA (0.59), wins (36), and strikeouts (338) in 2018 and there’s little reason to expect anything less in 2019. Chico State: The Wildcats lose a big power bat in Karli Skowrup, but that’s the only big loss from a lineup that made history winning its first-ever CCAA championship last season on the way to Salem, Virginia for the DII softball championship. Kristen Worley, Amanda Flores, Wendy Cardinali, and Bailey Akins provide enough average and power to be a conference threat once again. Hailey Gilham is gone, but Naomi Monahan (15-1, 2.83 ERA) and a couple of transfers are back to pitch for Chico State. Lions tabbed to finish first in @D2SSC Softball Preseason Coaches Poll. Saint Leo received 94 total points with six first-place votes from the 11 head coaches. Saint Leo: The Lions gave Southern Indiana its toughest test in Salem last year, bowing out of the tournament in the semifinals in an extra-inning thriller. The top four hitters from that lineup return, all of whom batted over .300, which is huge for a team not based around the long ball. Alison Mitts is gone, but Auria Mounts looked like an ace last season and should have no problem doing so again. Southern Arkansas: There are two reasons the Muleriders aren’t in the top five: Brooke Goad and Jill Roye. Goad ended her career in Magnolia as DII softball’s all-time home run champion, and Roye finished her illustrious career with a .364 average, 21 home runs, and 107 RBI. That’s a lot to replace, but Jason Anderson’s teams are always big in the home run department. With Goad now on the coaching staff, they should be plenty of fun to watch in 2019. Texas A&M-Commerce: You may be surprised to see the Lions in the top 10, especially after losing senior Mariah Jameyson who had a monster 2018 batting .510 with 23 home run and RBI. But there is plenty returning, including both Emily Otto and Katie Dean in the circle, as well as Kinsie Hebler who hit .413 with 19 home runs and 73 RBI last season. Angelo State: The Rambelles lose two huge pitchers in Morgan Hill and Brandy Marlett, but have some youth that may be ready to step in, like Hill's younger sister Meagan. That lineup, however, returns its three big sluggers as Taegan Kirk, Karina Rocha, and Courtney Barnhill bring back a combined 48 home runs and 163 RBI. Alabama-Huntsville: The Chargers are an NCAA tournament staple and had another big season last year. They lost Brooke Miller from that 39-win lineup… and that’s it. Eight players who hit .300 or better in 50 or more starts return as does ace Layton Murphy. Based on the experience and a Super Regional run in 2018, this team could be poised for a tremendous season. Winona State: This may be a little high, but West Chester, a national quarterfinals team a year ago, lost too many pieces to make the rankings, leaving a spot open for a surprise. The Warriors are another team with a favorable number of returners including not one, but two in the lineup who hit above .400. Lani Van Zyl should garner some early season player of the year talk after posting a 1.353 OPS in 2018, hitting .473 with 18 doubles, 13 home runs, and 59 RBI. Though they lost McKenna Larsen, Jordyn Kleman returns to the circle after posting a 19-2 record with a 1.86 ERA and more than a strikeout per inning last year.